Below is an article written by one of our own resident – Allison Osmun, She writes the “Field Guide” in the bi-weekly City Paper! Thank You Allison for promoting the Point/Shoreland Area! Allison has also wrote articles about the HP Landing and the NorthWest Ohio River Runners Canoe/Kayak club base in Point Place/Shoreland area in the past. Cullen Park has it all. 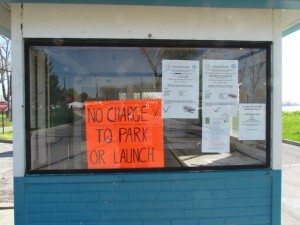 It is the only free, public launch (4526 Summit St.) in the Toledo area with direct access to Maumee Bay and to western Lake Erie. Toledoans Heng and Tasha Kim like the proximity to the mouth of the Maumee’s really good fishing spots. Their favorite is just seven miles east near the Harbor Light Lighthouse. Improvements to the Cullen Park launch, made last year by the Ohio Department of Natural Resources, included dredging a wider, deeper channel and installing new buoys. “It really makes the ramp and dock easier to launch from and the water easier to navigate,” said Tasha Kim, who has an 18’ Lund fishing boat. 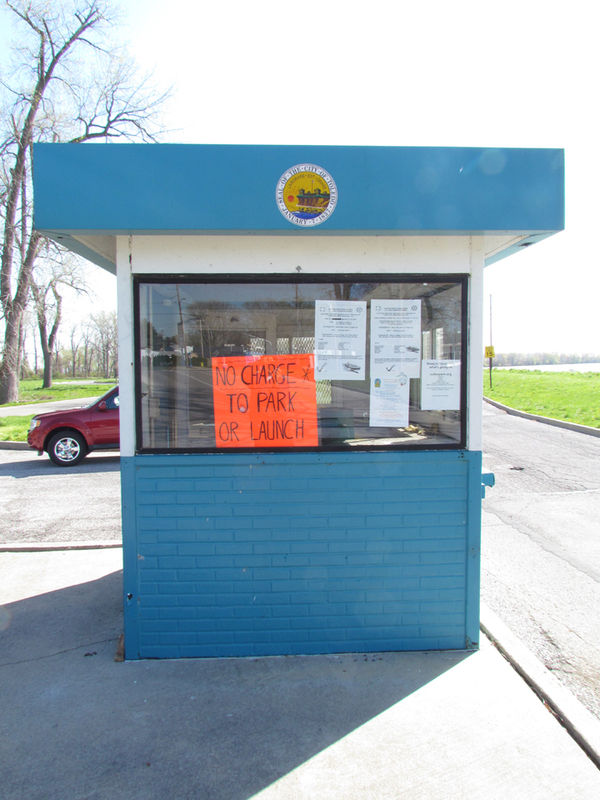 There is a separate area for kayaks and canoes, and an expansive parking lot which accommodates larger trailers. Benches, placed along the shoreline’s grassy knoll and under the shady cluster of trees, offer a nice waterside respite. One of the park’s best features is the Squadron Island Nature Trail. The naturalized manmade causeway (southeast side of parking lot and marked with concrete slabs) is a delightful, unique walking experience with enticing water views on both sides. The one mile, tree-lined pathway (take the right fork) creates a sense of anticipation and discovery as the tree branches form enticing entry ways to several pretty little beach areas for fishing, bird watching, picnicking or to behold the gorgeous view. The path eventually leads to the grand, naturally occurring Squadron Island for more breathtaking sights. Visit cullenpark.org for more info. Just a reminder of the Visions of Cullen Park meeting day and date change! We will be meeting THIS Thursday June 21st – 6:30pm, at the CrossPoint Community Church. This meeting will have guest speaker Lindsay Webb District 6 Councilwoman. Lindsay will talk about the proposed 1.95 mil – 5 year tax levy, after which, She will take question regarding this tax proposal. So, if you have question about this tax levy, this would be a good reason to attend the meeting and get your questions answered! The Anchor is in place!! 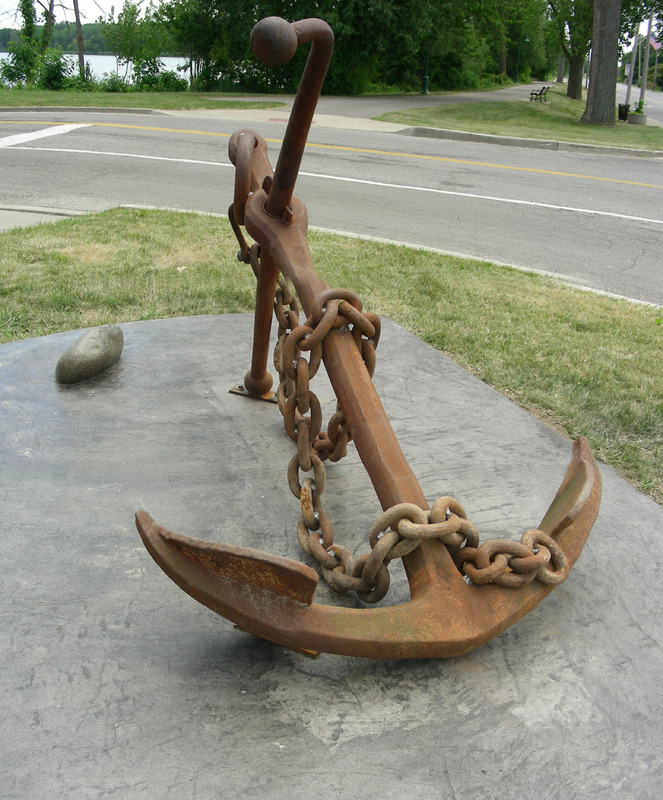 The Anchor was set in place and permanently “anchored” , on Thursday May 31st 2012, just in time for the Point Place Parade! The anchor stands near the entrance of Cullen Park, nestled between the sidewalk and Summit Street, for all those driving, walking or bicycling by, to enjoy this magnificent piece of history. The City of Toledo excavated the hole for the base, which consists of 8 yards of concrete, poured on Friday, May 25th. A dedication is planned for Saturday June 30th, more information to follow! Just want to remind and invite everyone that the “Visions of Cullen Park” is planning on having its scheduled Cullen Park and Light House clean up, this Saturday! The Cullen Park cleanup will start at 9 am, with the Light House cleaning starting at 11am. We will pick up any trash that has been “deposited” since the Boy Scouts did a cleanup a few weeks ago, thank you. While the Light House area also needs work, possibly weeding and raking the dried smelly grass. This will make the outdoor service that Pastor Mike will lead Sunday June 10th @11am, more pleasant! Want to thank Point Place Ace Hardware for providing the trash bags for this project!! See you there, bring rakes and hand tools! Meeting Date Changes for the summer!! hopefully September’s meeting will be back on the “normal” fourth Wednesday again! We’re back on Wednesday night meetings again, May 23rd, 6:30 pm at CrossPoint Community Church! BEWARE, There is NO CHARGE TO LAUNCH BOATS at Cullen Park !! Apparently last Saturday morning, March 7th, 2012, a individual took it upon himself to charge boaters $5 to launch their boat and pocket the money! In the future, if some one is at the booth or anywhere in Cullen Park wanting to charge to enter or launch a boat, please call 911! 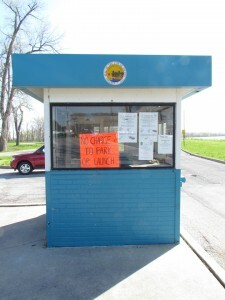 Since that incident, We have posted a brightly colored sign in the window of the toll booth, as pictured below, to make sure this does not happen again. A FREE Family Oriented Event!! not Wednesday -just for this one meeting! near Lehman and 283rd Streets. Hope it’s of interest to the anglers!